“Marriages are made in heaven,” but it's on the person to look for a bride or a groom. 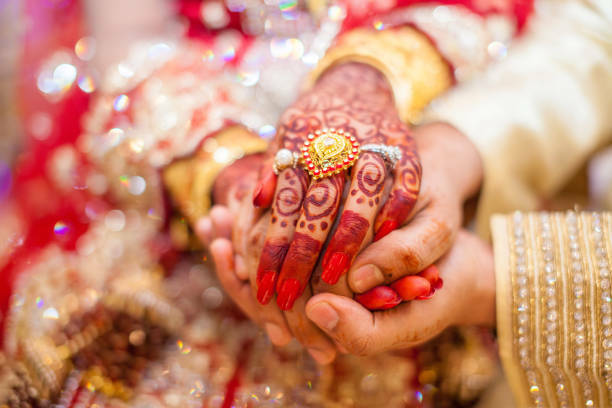 With the advancement in technology and overseas relationships and connectivity, Matrimony Sites return as saviors. You create a Matrimonial Profile, search according to your likes and dislikes, match a person, get to know each other and select the “perfect match” to marry him/her. The first and foremost requirement for a successful online arranged marriage are presenting yourself or your son/daughter in the right way. An interesting Matrimonial Profile allows the right people to visit your profile and approach you for a chat or further conversation. The advantages of those Matrimonial Sites are several like the personal choice and increase in options being global-social platforms with a specific and target purpose of matrimony. However, one has to also lookout of how a profile should look to have the right match, fulfilling all the wants that one appearance in his/her future life-partner. 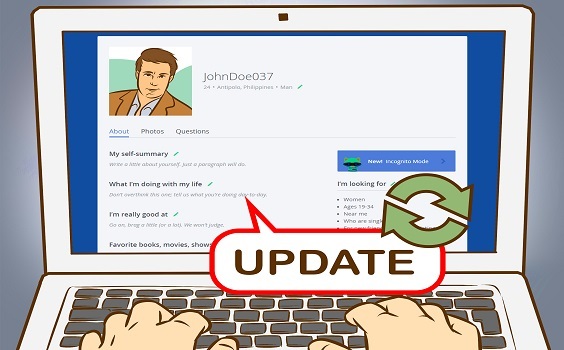 The most important thing is that your profile must be expressive so that you will get positive response. In this regard, proper apparel and background of the picture must be there. In order to make profile expressive, just try to highlight the significant areas that describe your personality. Add your hobbies, your liking and disliking, height, age and all the stuff that you find most interesting in yourself. The better you describe yourself the best response you will get. While creating any online profile in marriage websites, picture is the prior need. Remember, it is the first impression that would attract any viewer. Do not upload passport type photographs; it is not a job portal. Upload pictures that are naturally taken and those that enhance your natural personality. Do not upload group pictures. It is better if the background is your home. This creates a positive impression and a trust factor on persons who views your profile. The dress matters a lot in pictures. They must be with a decent and natural looks. A good dress is better, but do not make an impression that the picture is especially taken for the purpose of uploading in the website. Always provide complete and true information. Remember, wrong information can get you only an expression of interest or perhaps to the first meeting. If you are really interested in getting married, make your profile authentic. The matrimony registration form must be complete in every respect. Do not leave any particular field blank. Most of the websites provide options for a personal write up such as 'About Me'. While writing this free write up, be sure about the grammar and the words. Never make a mistake, never exaggerate and do not use advertisement words. Keep it simple; write about what you like, a little about your family background and so on. Be straightforward and plain. Never write about the type of person you want in this section. This has a negative impression about personality. Never sound too demanding or choosy. It’s a bad idea to write things like, “I am looking for a fair bride/groom, who is beautiful/handsome, career-oriented, earns well and who can take good care of my family.” This will only increase your ‘Decline Request’ on the site. Instead, sound positive and write about how you would want someone who is independent, caring, loving, who shares similar religious beliefs, someone who is a family person and is compatible with you, etc. See what all responses you get. There will be some spam matches as well, just block those. Since you are dealing with unknown people on the internet, and you know limited about them follow a cautious approach. Follow your instincts, disclose additional information once you feel comfortable. It’s true that a Matrimonial Profile is all about you. But, don’t be too specific about it. For example, while creating a Gujarati Matrimonial profile, don’t be too specific about the cultural aspects, even if you are searching for a Gujarati bride or a Gujarati groom. Be flexible so that a person can initiate an interaction as the Matrimonial Profile is on a global platform, and there should always be scope for interaction with other people to make an informed choice. After fulfilling the required formalities, your profile has been created finally. Now enjoy its services and search for a perfect life partner for yourself. We hope that visitors have got to know how to create an impressive Matrimony Profile on Matrimonial Sites. Stay tuned with Elite Vivaah for interesting facts like this.